As a massage therapist, I work closely with the nervous system in clients’ bodies. 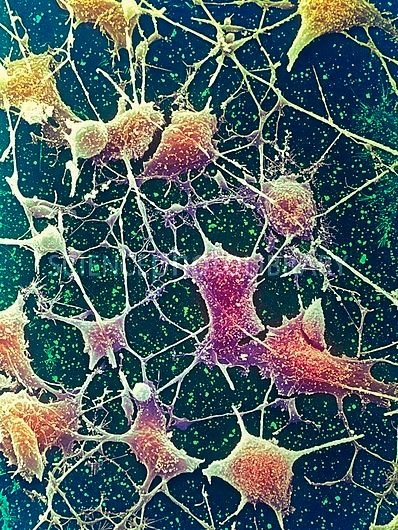 The nervous system is a complex collection of nerves and specialized cells known as neurons that transmit signals between different parts of the body. It is the body’s electrical wiring. Massage positively affects every system in your body, but today we are solely focusing on the effects with the nervous system. One of the reasons the nervous system plays an important role in our body and health is because it works with the brain to communicate with every cell and organ in our bodies. There are many books and chapters dedicated to the education of the nervous system and the body, but for this blog, I’m going to simplify it the best I can. It is a topic clients often ask about. Therapeutic massage stimulates the nervous system, helps to produce hormones that have tremendous (documented) benefits on the body, and also decreases out of balance chemicals. The communication within the body to help release and produce hormones and chemicals for a calming effect is one of the many benefits of therapeutic massage. Massage offers sedating effects to help the body heal, rest, function, and restore its balance. Massage increases endorphins (the body’s natural pain reliever) to help promote healing, decrease swelling, and speed recovery by bringing more oxygen to the tissues via the circulatory system. Massage always increases your circulation and in turn works to increase every system in your body. Massage increases available dopamine for increased joy, enthusiasm, and what we basically call our happy chemical. Massage also increases serotonin, producing a calming effect. This calming effect gives the body a biofeedback response to aid in relaxation and healing. Massage also decreases the levels of the stress hormone cortisol. It’s the body’s response to stress. Cortisol is designed for our body to benefit a short term problem. The problem is that too much stress and cortisol in your body produces many health problems long term. The overproduction and stimulation of cortisol can produce high blood pressure, fatigue to your adrenal glands and kidneys, stomach acid problems, infertility problems, increased inflammation, fluctuations in blood sugar, imbalanced thyroid production, and decreased testosterone. There are many more studied effects of too much cortisol, but these are the main ones I frequently seen as a massage therapist and nurse. A main focus in massage is the balancing and stimulation of the parasympathetic nervous system—the “rest-and-digest” system. When we are very busy and stressed, we release too many chemicals and hormones for our body to break down. Over time, these out of balance chemicals tax certain organs, affecting your health. I believe to maintain health and to aid in healing, we can help the body in its balance and restorative function. For example, let’s say you have a bad case of heartburn. What do you normally do? Most of us grab an antacid or some sort of alkalizer to balance it out. This is what massage does for the body through the nervous system and balancing of the hormones. Massage is a very powerful aid for the body. Massage helps the body in its superpower to heal itself. The body and its brain and nervous system have the wiring and function as a team. I like to think of massage as a team player. The massage and therapist are not the healers themselves, but rather the helpers who assist the body in its capabilities. There are many tools that help stimulate the pns system, such as meditation, a relaxing environment, yoga, deep breathing, being in nature, and anything bringing a relaxing feeling to your body and mind. I recommend trying as many as you can to find what is most beneficial to you. Just be aware that there is much to offer in helping your body achieve and maintain health and balance. 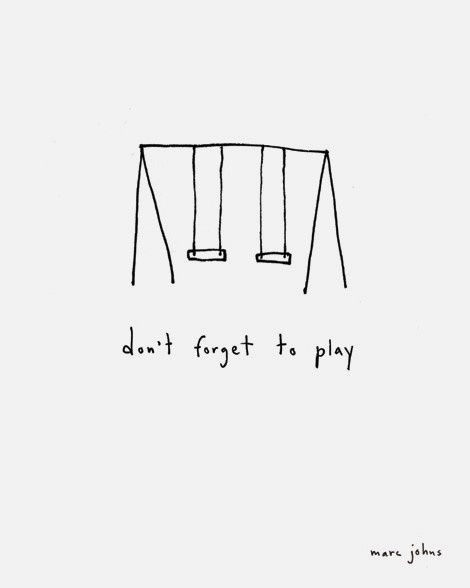 How do you create time for play? Do you give yourself any amount of time to play? Often we become overly busy and so tied to our responsibilities that we do not carve any time aside to do things we truly enjoy. It’s how our passions die, and it’s how little pieces of our soul drown. It is so important to have some time to get out of ourselves, our heads, and especially a break from all of our roles and responsibilities. If you spend all of your time on just your duties and responsibilities you may be out of balance. Your soul may be yearning for a bit more in life. If you are not carving time out for things outside of your chores and deadlines, you may want to ask yourself what you are saying yes to. Why aren’t you making time to play? Do you feel guilty or judge yourself for allowing time for play? Could you be in fear of what other people will think of you? Or have you ever even truly pondered how you spend your hours in the day? These are some questions to ask yourself if you are feeling out of balance in your daily life. The only way to get anywhere is to start. Start with your knees shaking, your insecurities quaking, and your lack of confidence aching. No one expects you to be an expert at anything on Day One. You don’t even have to share what you are doing, creating, or learning. A start is simply there initially as your sheer intention. Then we move forward for our enjoyment. Spending time on things we love or what interests us is our therapy. It is how we balance out the roles and responsibilities in life. You don’t even need a goal to start. After spending some time in your interests and endeavors, it will be up to you as to what you share with the world. Initially it’s carving out small amounts of time to follow your passions and bliss. It doesn’t necessarily have to become your next career. If it evolves that way, great, but we do not have to have an end goal to be creative and enjoy the things that bring us to life. For example, I regularly attend a pottery/art class. Due to my busy schedule, I do not always get to attend every week, but I do get to attend often. And over time, I have really gotten better at little creations. I’ve learned one thing for sure, your crafts do take time to develop. If you can hold off on judging yourself and your results, you have the capabilities of learning many great things. Much of it has to do with being OK with being a beginner and allowing yourself the time to progress. Just the fact that I make time for this class has helped me in my more serious aspects of work like my writing. I would have never guessed initially how much practicing and learning art would enhance my writing skills, but they have. I think part of it had to do with giving myself that permission to learn something at my age as a beginner. It was also allowing myself to be terrible at it and still continue to do it. It has helped build my confidence in many areas in life, and it also allowed me the space to focus creatively. I had to leave out my roles and responsibilities to learn some pottery. It did not come so easy to me initially. With dedicated time and repeated practice, I have greatly improved and have much more to show for it. Another great benefit is that my teacher and I have become intimate friends and that relationship has helped us to encourage each other, and we hold space for each other’s creativity. I don’t have plans to become a professional potter. Over time, perhaps I will become skilled enough to sell pieces of work or perhaps not. The main point is that it doesn’t matter. I do not take my pottery classes for the end result. It is for the play and enjoyment for a brief period of time. It helps me to breathe better when I carve some space for play. I’m a kinder human to all that interact with me. And last but not least, it enhances my confidence in improving my writing and blogging skills which I do take seriously. It allowed me the bravery to start where I was with the knowledge that I can get better. You do not have to be at a professional level to start anything. How else do you even become experienced until you have utilized much time there? The time spent on any craft or hobby will have moments of greatness and sheer failure. That is how we learn. That is also how we get better. The good news is when you enjoy what you are doing or learning, the failures you may encounter are all worth it because you love or enjoy it. You’re still having fun in the process. Learning is a process just like life. Don’t forget to carve out some time for play. We often omit play for ourselves and only allow it to our children. Play often balances out those everyday tasks. And when we play, we have to let some responsibilities go for a period of time. The time is an investment to yourself; it can help you balance life better, be more light hearted toward others, and hold important space for fun. We all need a little Peter Pan escape time. Otherwise you will grow old. Age is really just a number. It does not have the ability to reflect who you are or what you can do. Often I find focusing on our ages only limits us from possibilities. I’ve noticed in our culture, that we accept details and deterioration of certain ages. For example I’ve seen many friends agonize on what age they are turning even before their birthday. As if it were to mean they are on a slippery slope of things getting worse, their bodies and their looks falling apart. We are often sold these images and beliefs to sell products and keep many companies in business. I found more often that age truly is only a state of mind. Some of my 80-year-old clients are in better mental and physical shape as some of my 50- and 60-year-old clients. Most of it has to do with how they see life, their age, and their possibilities. I have also worked on some 20-year-olds who feel like they are 80. What your mind conceives actually manifests. It not only shows up in how you feel and how you look, but also how you function. When you believe you have the potential to get better, younger, or simply age effortlessly, you can. This is not only coming from observations of patients and clients through the the years, but also from my own experiences as well. When I was in my 20s I was very independent and stubborn. I could do everything myself and you couldn’t convince me otherwise. I could do anything anyone could do especially the strong boys I worked with. That naive thinking did cost me some unfortunate injuries at the time. I pushed myself so hard for my stubborn ego that I ended up with bulging discs in my back at age 19. I was told by my physician that I had a back of an old person according to my MRI reports. He also told me I would later probably have surgery and be on heavy pain pills as I got older. The good news is that I didn’t allow my brain to believe the latter of the advice. I did take to heart my injured discs. I changed how I took care of myself and was much more careful with my body. Along the way, without surgery and medication, I do not feel I have back problems. I rarely have a back ache and I do not take medications. It did take me changing of my state of mind and better practices like massage and yoga. I also regularly see a chiropractor, but I have beaten the odds initially given to me. It took me looking at things differently and treating myself better. I now feel better at 40 than I did in some of my 20s. So I do know that age is nothing but a number. Or an acceptance of the number. 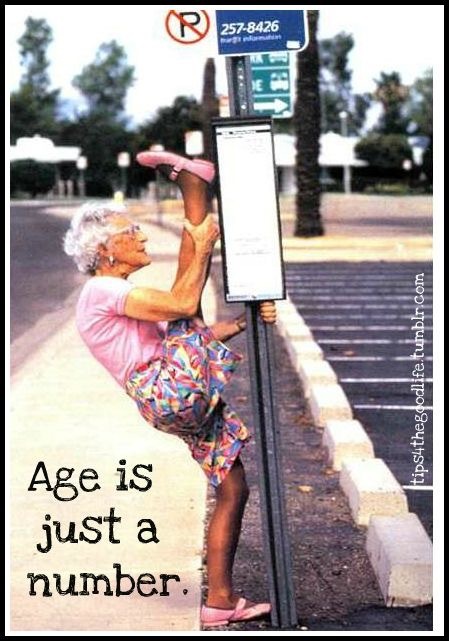 Age is what we make of it and believe. It doesn’t have to be a big deal or production. Now when I hear someone dreading what age they are embarking on or turning, I kind of snicker to myself because I have many friends in their 50’s, 60’s, and 70’s feeling great and having the time of their lives. I myself would much rather age in fun and grace than remorse or regret. The way we feel is how our body responds. So if we feed it feelings of being old or getting older, it will respond with more of those results. On the other hand, if you can spend some time allowing a better perspective on age, you body can glide towards more youthful experiences. How we feel affects how we look and function. Treat age like a friend. It is time not given to all. More time to have fun. More time with our loved ones and more time to experience joy. Each day you wake up and age is more time for life and love. Before your time is up, I encourage you to appreciate time and age. It doesn’t matter what age you are, it matters what you do with it and how you feel. You transcend age with your emotions. You just may have to break up with the saying that you are “too old” for anything. Be excited for every birthday. See each year as a celebration of what you have enjoyed and how much time people have had to enjoy your presence in the world. Rather than dreading being older, shift your perspective on what else you get to do, learn, or be. We can reshape how we look at age and set better examples to the younger. The choice in how you age is up to you. Age is just a number. 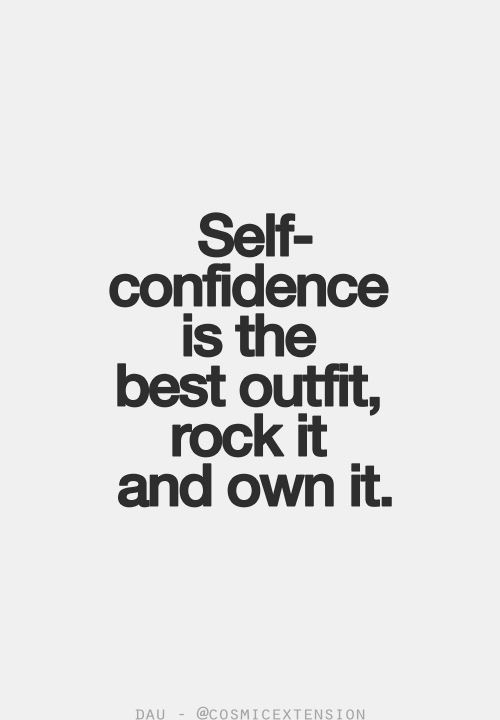 Confidence is one of our greatest assets. I think we often miss how powerful and positive our impressions are when we feel and express confidence. In our culture we are frequently taught how to focus on and fix our weaknesses and flaws more often than how confidence can make up the differences. Confidence is an emotional journey. You do not have to live without flaws or be perfect to feel and act confidently. That is the beauty I have found through the years. It doesn’t matter how I look, how much I may weigh at the time, or how well my resume may stand out. If I am confident, I line up with better outcomes. When you feel well and confident, people react differently toward you. You draw more people, circumstances, and events to you based on that self-assurance. Confidence is a positive feeling you have about or within yourself. You can have confidence without being your ideal weight, embodying your ideal image, or obtaining your ideal goals. It’s the spark that flies you higher on your journey along the way. It’s like having a positive side effect just as you already are. We are often so caught up on our way to a better self, a better position, or a better opportunity that we forget all we have to offer in the now. Confidence can take us further on our trails. We can move forward more easily when we are confident in what we already have and are. We can be confident where we currently stand. People notice and feel the energy you project when you are confident. We attract more wanted experiences with confident energy. I’ve often heard “It’s not what you look like, but how you carry yourself.” This goes a long way with not just our appearances, but also our professional endeavors and future goals. Now I realize confidence may not be a strong suit if you aren’t used to practicing it. The good news is you have many ways to go about building that confidence. One is to talk yourself into it. You can start first thing in the morning by making a list or looking around to notice what you do have to be confident about. You can grow this practice each day and add to your lists. The more you notice the good things about yourself and the many talents you have to offer (as everyone has something unique to offer), you will see more in yourself. You are training your brain to see a little differently. Once you start to play the game of noticing your strengths more and wiring your brain towards what makes you feel better about yourself, you learn to either let go of what you consider flaws or weaknesses… or you aren’t so bothered by them that they affect your abilities. Confidence is a state of mind or feeling. And you can be confident under any circumstances. When you are confident and amplify the feeling of confidence you change your energy, your potential for wanted attraction, and the vibration you operate in. It’s kind of like upgrading or updating to the best version of you. Train your brain a bit every day at seeing all the great qualities you have to offer. We all have some great qualities. You just may not have practiced the habit of seeing them in yourself. We often encourage our children, family, and friends, but point out our flaws to others. It’s a habit that isn’t very serving to us. Putting ourselves down doesn’t help any upward direction. Taking the time to look at ourselves the way we look at our loved ones will increase our confidence and what we actually see. When we do this we offer a better version of ourselves and have greater potential to feel good. Feeling good and seeing the good in ourselves helps to build our confidence. Everywhere you go with confidence helps improve your representation of yourself. Your improved security shows to others and increases the responses you’re aiming for. Like happiness, and joy, your confidence can build and improve over time. It takes focus, awareness, and practice. Confidence is something that can be your asset now. And confidence can take you anywhere.